Most Awaited Movie of 2014, Gangster is Releasing 11th April 2014. This is the 3rd Release of Mammootty In the year 2014. Balyakalasakhi, Praise The Lord are the other Two Releases Of Mammookka This Year. Both the films failed to get a success at box office. Gangster Movie is Very Much Important to the Mega Star. This is The Vishu 2014 Movie for Mammootty. Aashiq Abu is the director of This film. Aashiq Abu and Mammootty is again Joining for a Movie after a Long Time. First Movie was Daddy Cool, in the Year 2009. Gangster Movie Trailer already released and That got awesome Response from the film lovers. Gangster Malayalam Movie Is Produced by OPM. Its Written by Ahmed Sidhique and Abhilash Kumar. Mammootty Is Playing the role of Akbar Ali Khan in this film. 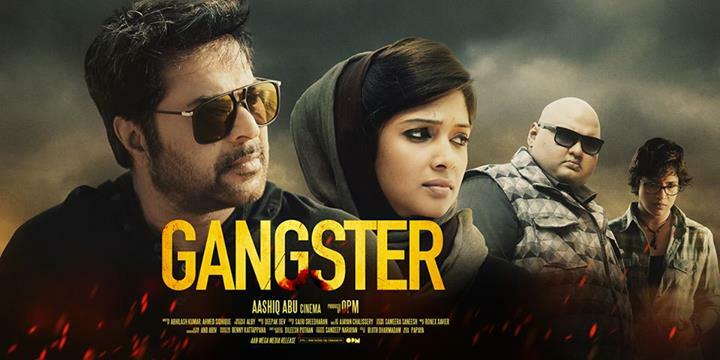 Gangster Is a Malayalam Action Crime Thriller Film. Nyla Usha as Sana Ibrahim, Playing the Female Lead Role In this Film. Aparna Gopinath as Lilly another Important Character In this Movie. Sekhar Menon Is Appearing in a Different Get up in this film. Sekhar Menon Is Playing the Role of Anto. John Paul, T. G. Ravi , Kunchan , Hareesh Peradi, Dileesh Pothan are Some of the Other Stars of This Movie. Music is Composed by Deepak Dev. Gangster Film OST is Released Few back, Its Royalty Free To Download. Gangster Malayalam Movie Satellite Rights – Gangster film Rights is sold to The Malayalam Channel Kairali TV. The Channel Bagged The Television Rights for 6 Crore. Another Vishu 2014 Releases are 7th Day, Ringmaster , 1 By Two , Mosayile Kuthira Meenukal etc. Mamokka Rocked, Never Miss This. Sure Super Hit. Super Film. Go for it. Ikka Rocked as Akbar Ali Khan. I like it. Sure Hit. Gangster Movie Review, I just watched the film. I will give 9/10 for this. Ikka Adaar Look and Style.